Our goal is to help our clients achieve lasting recovery from drug and alcohol addiction through our specialized treatment programs and state-of-the-art rehab center. Are You Ready to Stop Using Drug or Alcohol and Find a Rehab Program that’s Right for You? At Restore Health and Wellness Center in California, we have the expert staff, individualized treatment programs and recovery tools you need to heal and achieve lasting recovery from drugs and alcohol. You are not alone in your fight against addiction. 23.5 million Americans currently struggle with an addiction to drugs or alcohol. It is a chronic disease that not only affects a person’s physical health, but their mental state as well. At Restore, our goal is to change the lives of those who suffer from this debilitating disease, and help them see that they can live a happy and healthy life without resorting to substance abuse. What are the Signs of Substance Addiction? Can you make it through the day without having to drink or use drugs? Have you tried to quit using multiple times, but failed? Has your health suffered as a consequence of substance abuse? Have you experienced changes in mood or behavior as a result of substance abuse? Do drugs and alcohol make you feel better, less stressed or less depressed? Are you hiding drugs or alcohol from your friends, family or significant other? Have you experienced issues in school or work because of your substance use? Have your finances suffered or have you had to borrow or steal money to continue using? Have you put your life or other’s lives at risk while under the influence? 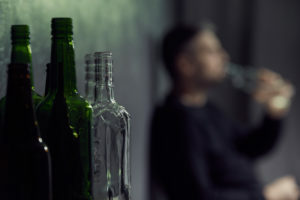 Has your substance abuse caused you to have problems with the law? If you have answered yes to any of these questions, now is the time to seek help, and start on the path to lasting recovery. Our admissions coordinators are available 24/7 to answer any questions you may have. Call us today at (888) 979-4570. Restore Health and Wellness Center LA is one of the leading drug and alcohol rehab facilities in Southern California. We are a top-rated facility with the Gold Seal of Approval by the Joint Commission. Our goal is to help our clients achieve lasting recovery from drug and alcohol addiction through our specialized treatment programs and state-of-the-art rehab center. Our multidisciplinary approach to treatment, supportive environment, and team of highly qualified addiction professionals, make Restore the best setting for you to begin your recovery journey. Our private, luxurious facility is situated on two acres of scenic landscape. Heal your mind, body and spirit in a serene and picturesque setting, where you receive the highest quality care from certified addiction professionals who create a comprehensive treatment plan based on your unique needs. We give you the guidance, tools, resources and life skills training you need to thrive in recovery. Does My Insurance provider cover Drug and Alcohol Rehab?